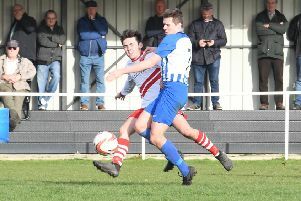 Skegness Town were beaten 2-1 by Parkgate in the NCEL Division One this afternoon. Jack Boswell netted for the hosts at the Vertigo Stadium, who suffered their first home defeat since November 3, ending their five-game winning streak. Nathan Collins’s side return to action at Selby Town on Tuesday night for their league cup clash.